Successfully Added Xiaomi Gaming Keyboard - Aluminum Design, Dual-Backlit, Cherry Red Key Switch, QWERTY, Anti-Ghosting, Ultra-Fast Response to your Shopping Cart. Play games like never before thanks to the Xiaomi gaming keyboard. This keyboard comes with 87 programmable keys which makes it great for engaging in the most complicated of online games. With its cherry red switch design, you can be guaranteed to undergo an ultra-fast experience without any delay. This wired keyboard comes with a 1.6m USB-C connector cable and features an easy to use plug and play design. Simply plug it in to your PC, and you’ll be ready to go. With its durable aluminum alloy design and back lit keys, this mechanical keyboard truly looks apart. This QWERTY keyboard features a comfortable to use and ergonomic design. This makes it great for both office work and gaming. With its anti-ghosting feature, you can be assured to undergo a fluent gaming experience. Whether you use it to at work or for fun - this mechanical keyboard from Xiaomi is sure to meet your demands. 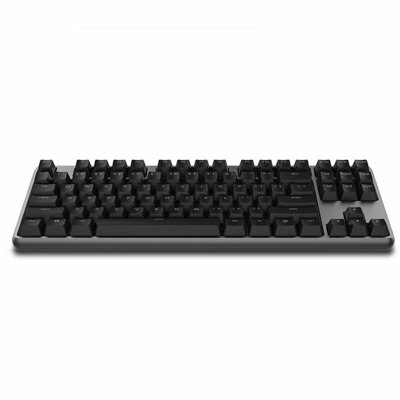 This gaming keyboard comes with a 12 months warranty, brought to you by the leader in electronic devices as well as wholesale PC accessories..